Nadia Crighton takes a look at some ingenious ideas to keep your indoor cat entertained and happy. 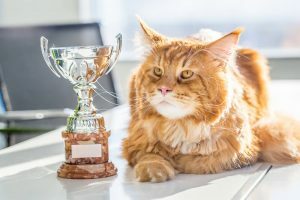 It’s no surprise that many cat lovers are now keeping their prized cats indoors. But how do you ensure your cat is happy and 100% entertained? 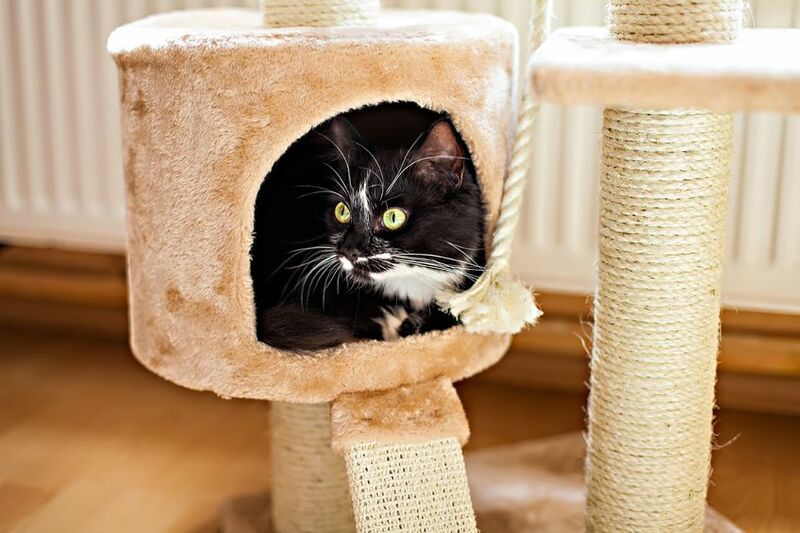 From elaborate cat enclosures to simple and effective play areas, there is something to suit every cat, and every budget. 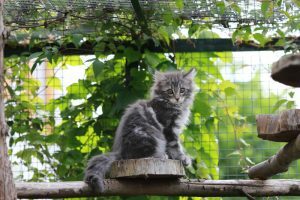 If you really want to splash out and give your cat a taste of the outdoor life without all of the dangers, then an outdoor cat enclosure is the way to go. These can be an attached run that is built into a cat flap or cat door in your home. Your imagination is really the limit when it comes to cat enclosures. The cat enclosures can be cleverly camouflaged through the vegetation in your garden and can weave and climb around the outside of the home to create a really interesting space. This will allow your indoor cat to experience everything the outside world has to offer in a safe and contained manner. The wonderful thing about cat enclosures is that you can make them as big or as small as you like, plus you can also add to them at anytime. With a little creativity you can provide your indoor cat with some great areas where they can climb, play and explore. Consider planting some kitty-grass and have plenty of flowers (beware for the plants poisonous to cats) around the enclosure to encourage butterflies and birds so your indoor cat can watch the intriguing world around them. For the indoor cat, an interesting cat-tree (or two) is a must. Consider placing these near windows so your cat can perch and watch the world outside. These will allow your cat to scratch and climb in an appropriate area and will provide hours of entertainment and sleeping opportunities. Some also come with cat hammocks, various levels and hidey-holes. To get your indoor cat interested in their new cat-tree a good game of ‘chase the feather’ normally works. You can also spray some ‘cat nip’ on the tree to entice your kitty even more. This is the new fad when it comes to the indoor cat. Getting creative with shelving so your cat can exhibit their natural tendencies to jump and climb. This is particularly important to the very agile breeds such as the Siamese cats who simply love jumping, climbing and exploring everything that is out of reach. Old books bracketed to the wall make for interesting climbing points, as too rustic pieces of wood that transform a wall into a set of intriguing stairs for your cat. If you are looking to give your cat some climbing freedom but are unable to attach perches to the wall consider leaving spaces near your existing shelves so your cat can perch next to the books and place furniture in areas so you cat can climb to the top of bookcases and shelves. Indoor cats need extra simulation to keep them entertained. 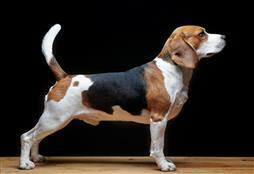 Insuring you keep a good 10mins a day for ‘playtime’ is a good way to keep them exercised and happy. Think feathers/mice on string, bell-balls ans other cat toys. Keep it fun and interesting and encourage your cat to run and jump through the house. 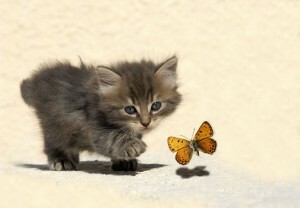 Even placing a sheet on the ground and allow your cat to pounce and jump while you pull objects from underneath. 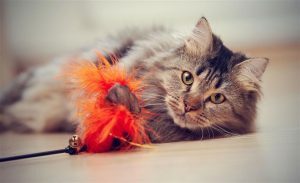 Remember to rotate your cat toys daily to keep your cat interested in playing and always put the interactive cat toys away until you play again.